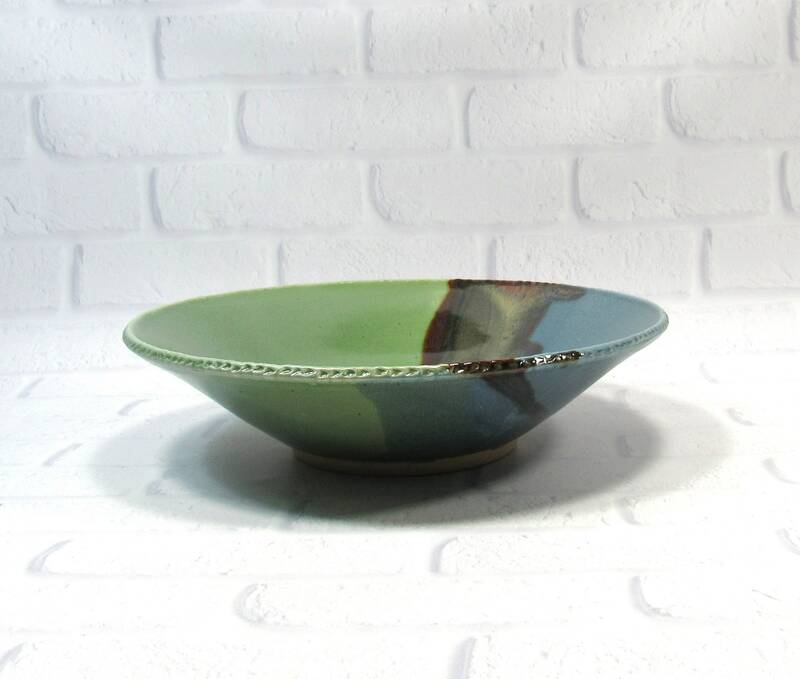 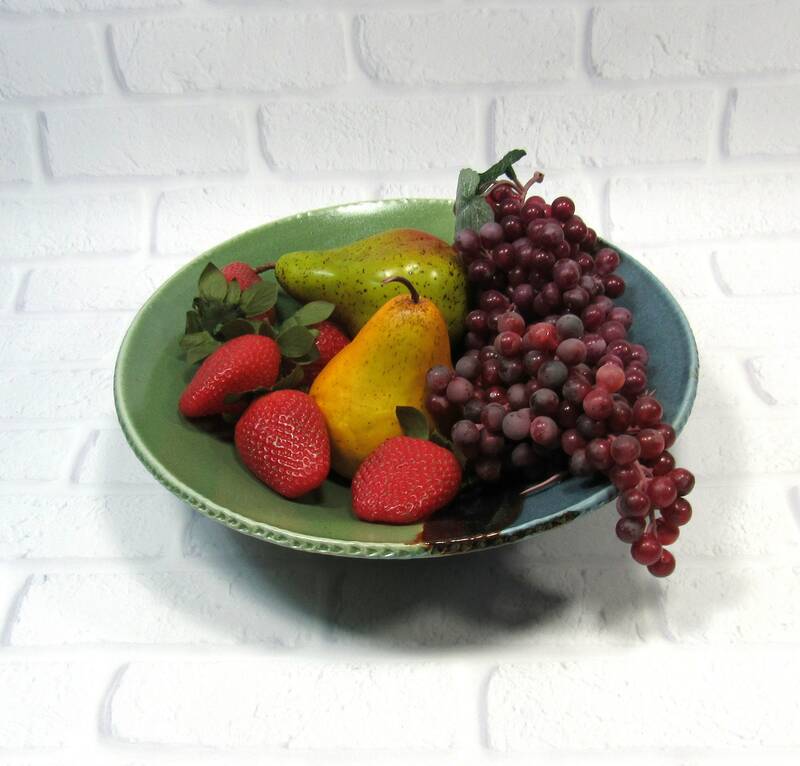 This is a great bowl to use as a fruit bowl on your countertop or as a tabletop centerpiece. 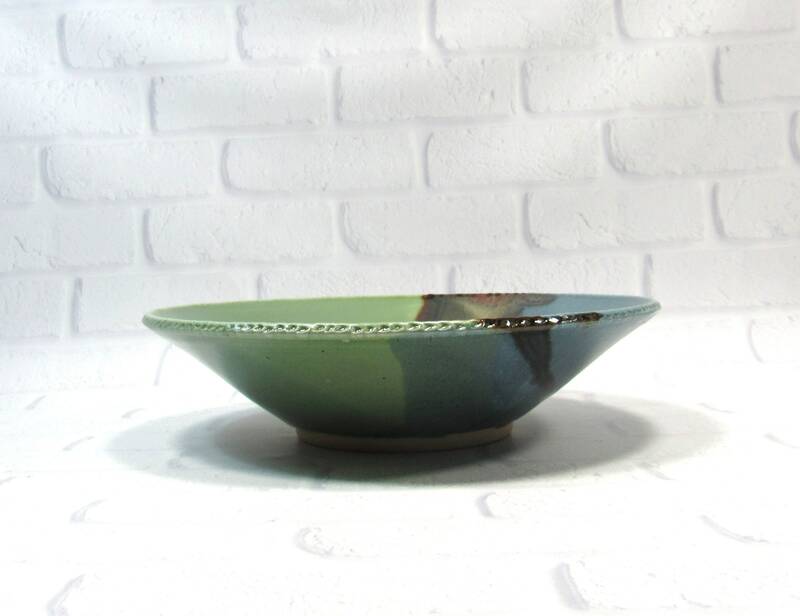 It will also make a striking focal point on your coffee table. 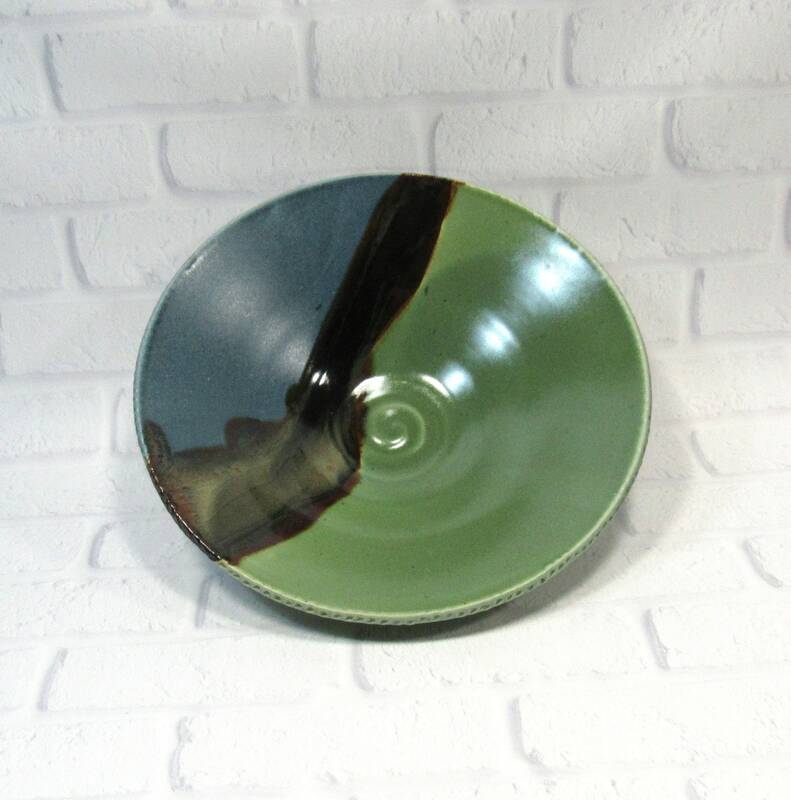 Of course, use it as well as a serving bowl for vegetables, salads or pasta. 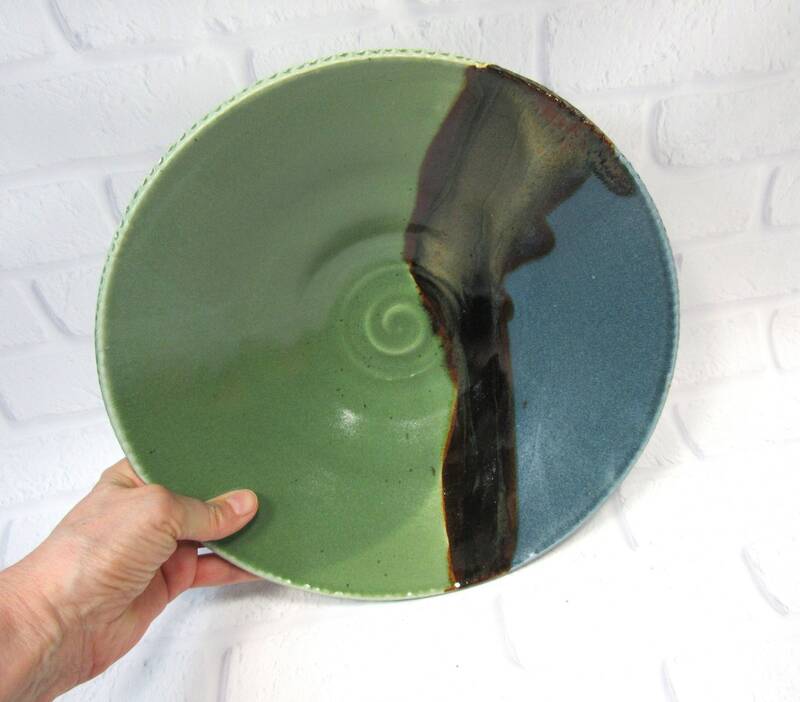 It is 10.5 inches in diameter, 2.75 inches tall. 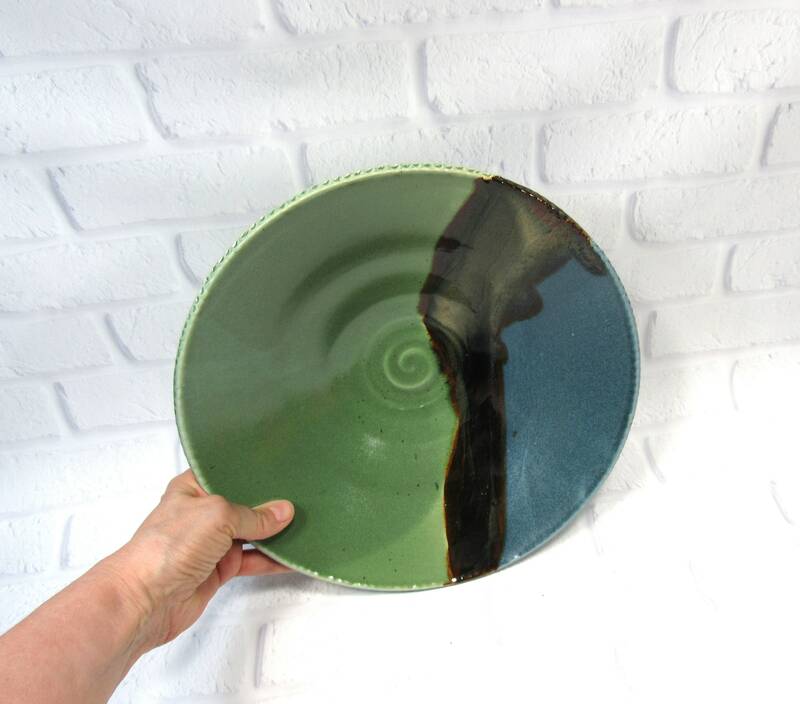 I made this bowl on the potter's wheel. 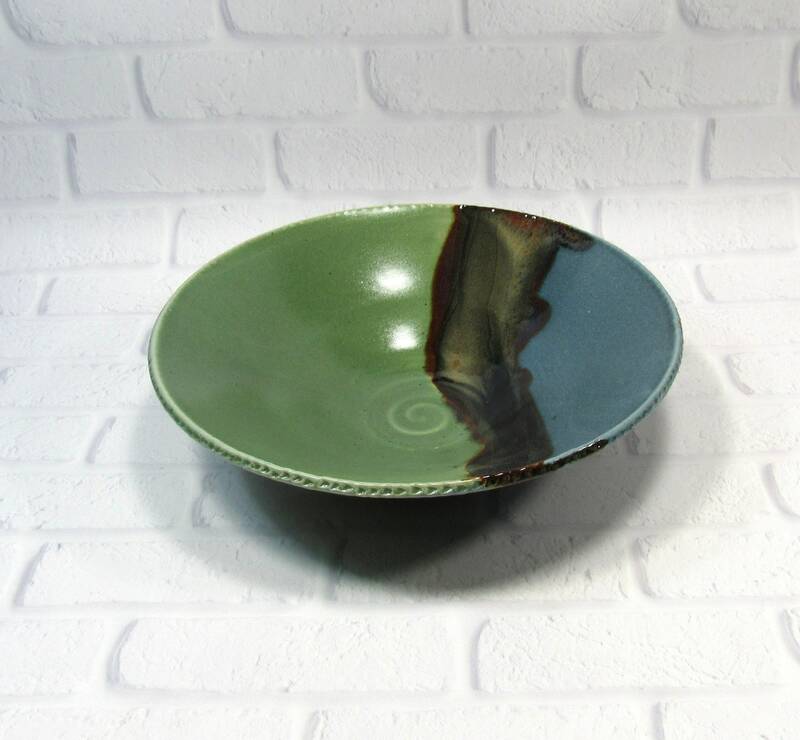 When it was dry enough to handle, I trimmed it to refine the shape and create the foot. 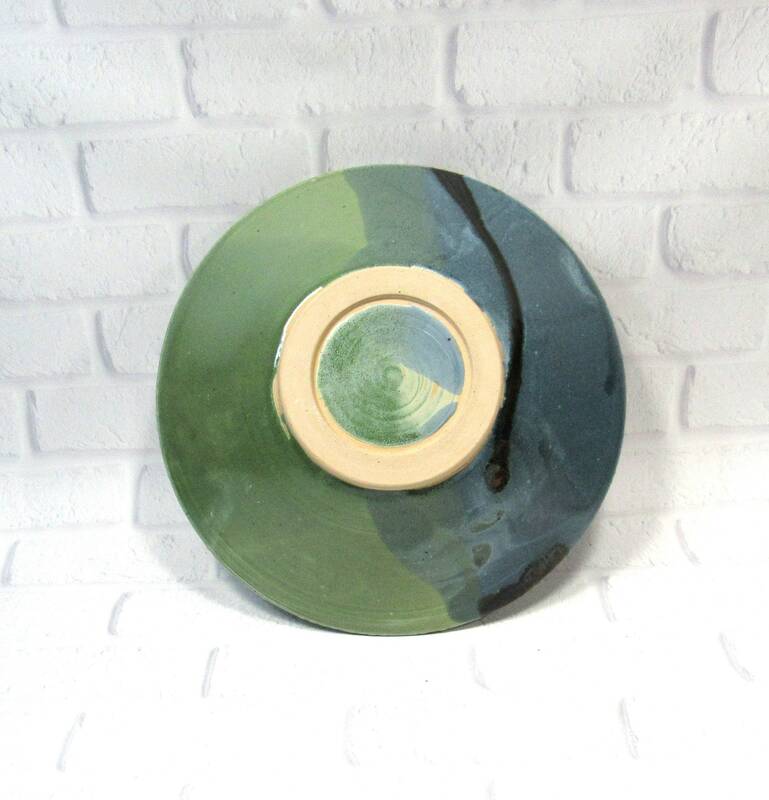 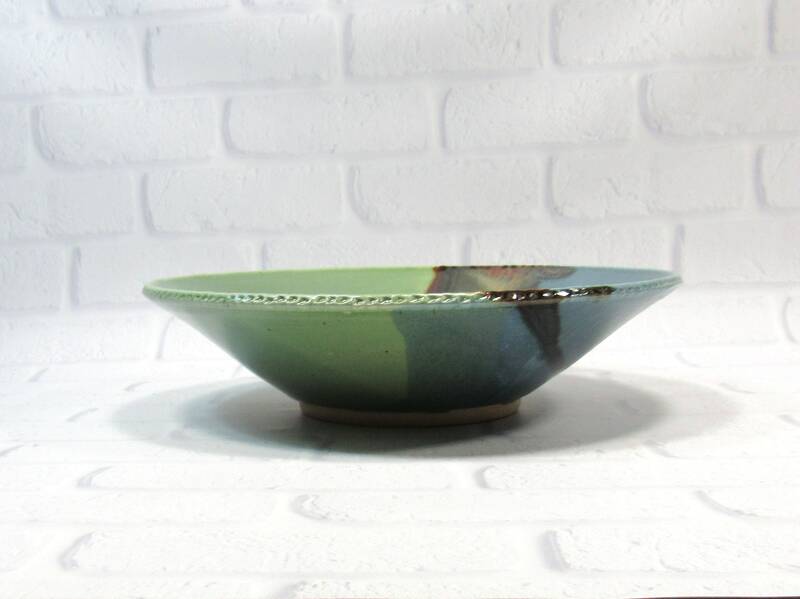 After the first firing, I glazed it using three complementary glazes: I first poured the dark brown glaze and then dipped the bowl into buckets of the green and blue glazes. 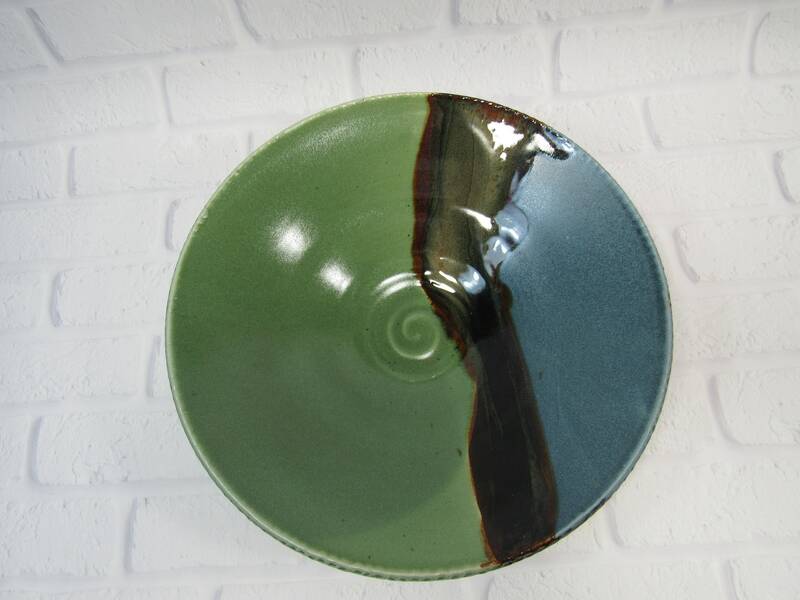 The brown glaze has bronze and red hues where it pools and flows.